Just like a little kid’s first visit to Disneyland or the fictional Charlie walking into the Wonka factory, I was awed and amazed on my first visit to Storm King Art Center. 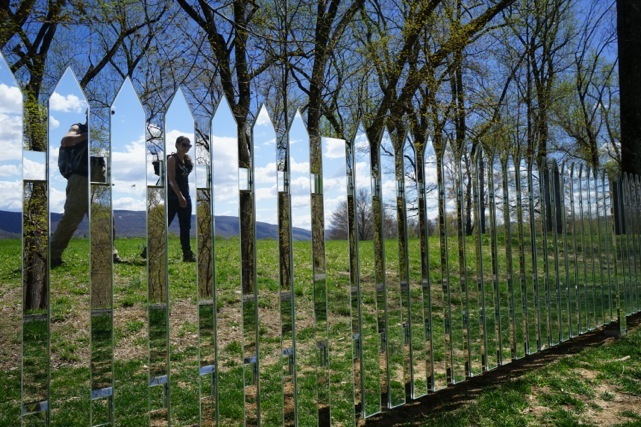 How had I never heard of this amazing modern sculpture park in the lower Hudson Valley? If you’re a New Yorker and you haven’t been to Storm King, go! One of the world’s most prominent sculpture gardens is in your own backyard. If you’re visiting from out of town and have some time it’s well worth a day trip. 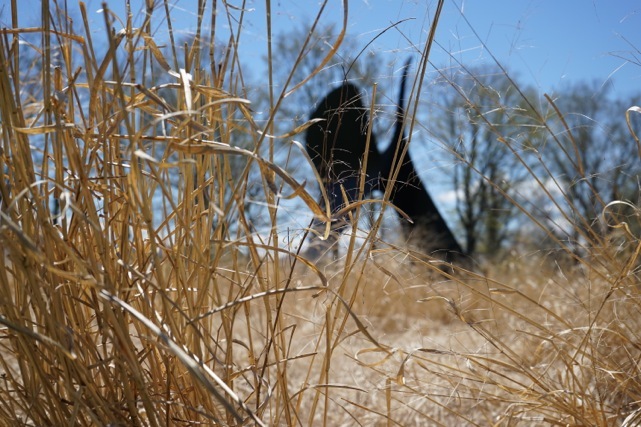 What: Set on 500 acres Storm King offers incredible vistas of the Hudson Valley while showcasing more than 100 sculptures and installations-- a true blending of art and nature. To wander the property with an Alexander Calder on one field, a Sol Lewitt to the left, and a mermaid by Roy Lichtenstein floating in the pond is truly an experience. The expansive setting filled with rolling hills, wooden streams, and grassy fields alone would be worth a trip. The scale and beauty of the land combined with works by many of the major names in the art world makes for a cultural day not to be missed. Visit: Storm King is open Wednesday-Sundays 10-5:30. In September and October, Storm King will be open on Mondays as well. The season runs April-November. Timing: You can’t possibly see it all in one visit so plan on at least 2 hours at a minimum, 3-6 being ideal. Each season offers different colors and foliage so no two visits are ever the same. Tours: Storm King offers guided walking tours at 2pm weekdays and at 1pm and 3pm on the weekends. It is helpful and informative to learn more about the specific pieces highlighted. Acoustic headsets can be rented as well at the Visitor Center. Bike: Storm King has bikes to rent, a good way to get around the property. (First-come, first-served) I was envious at the end of my visit when I had to make my way back to my car at the other end of the property! You cover a lot of ground here, so make sure to wear comfortable shoes. Ride: There is a tram that covers part of the grounds and runs continuously through the day, but I highly recommend you walk or bike to get more out of the experience. Lunch: A baguette, some cheese and fruit—how does a picnic sound? Storm King has designated areas for picnicking so bring some goodies from home, or stop at you’re favorite gourmet shop and pack a hamper. There is also an outdoor café on the premises with good salads and wraps. Highlights: This is obviously personal, but I loved and had the most fun with Zhang Huan’s Three Legged Buddha weighing more than 12 tons, Alison Shotz’s 130-foot picket fence covered in aluminum, Andy Goldsworthy’s site specific Storm King Wall, Mark Di Suvero’s Mozart’s Birthday and Menashe Kadishman‘s Suspended. Showing Now: Dennis Oppenheim: Terrestrial Studio and Outlooks: Josephine Halvorson. Town: Five minute away is the quaint town of Cornwall, I’ve heard good things about Painters' or Woody’s Farm to Table. In the Area: Up for an art double header....head to Dia Beacon. Beacon has a nice main street and some good options for dining—Homespun Foods, Poppy’s, Tito Santana Taqueria, Dogwood and for dinner The Roundhouse at Beacon Falls.